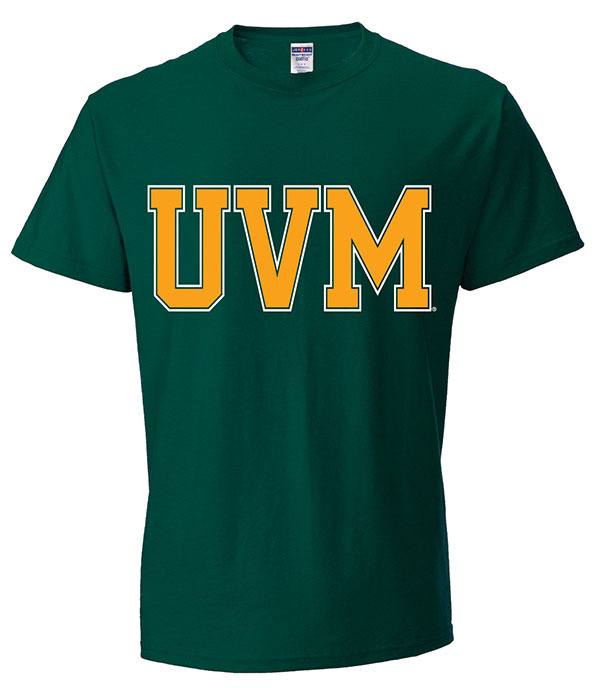 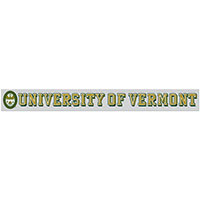 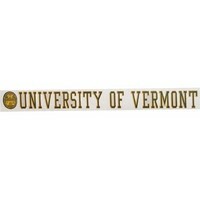 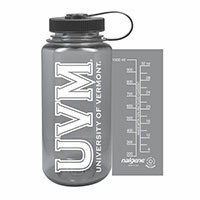 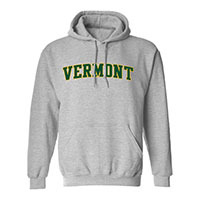 From our Back to Basics Collection, this t-shirt by Jerzees features an oversized two color "UVM" imprint, the shorthand version of the University's Latin name: Universitas Viridis Montis. 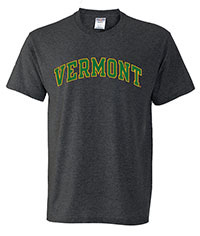 Oxford is made of 53% polyester, 47% cotton. 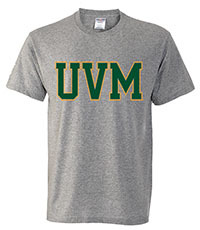 Forest is made is 50% polyester, 50% cotton.